Ting-Yen Shih a PhD student from the University of Wisconsin – Madison, USA was selected as the winner of the 2015 FEKO Student Competition. With his winning entry “Design of Platform-Mounted HF Antennas with Enhanced Bandwidth using the Characteristic Mode Configuration in FEKO” Ting-Yen developed a method using the configuration in FEKO to systematically and efficiently approach the bandwidth limitation of a platform mode. This resulted in Shih achieving the bandwidths that stand-alone antennas were not able to achieve. The quality of entries for the competition was extremely high and it was decided that three honourable mentions would also be awarded: Mahrukh Khan, a PhD student from the University of Missouri, USA, Marno van Rooyen, a Masters student from the University of Pretoria, South Africa and Stanley Kuja, a Master student from Stellenbosch University, also in South Africa. 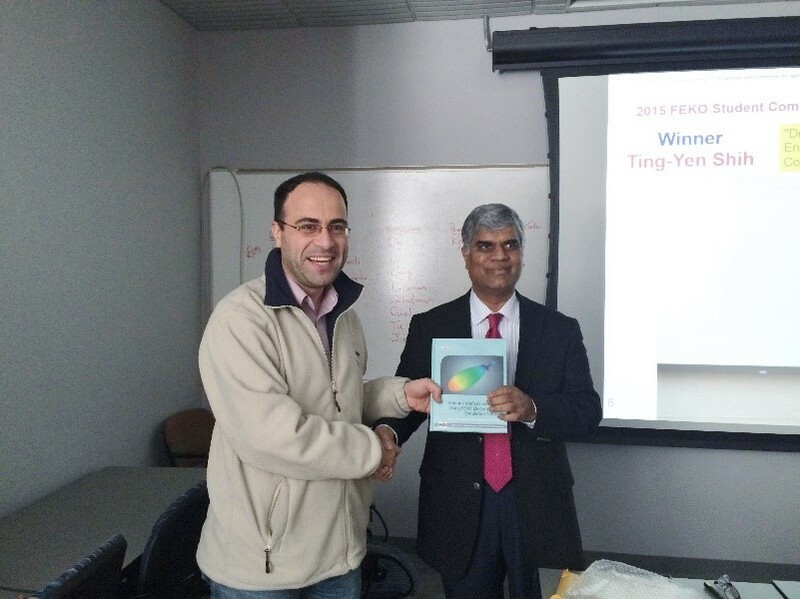 Professor Nader Behdad from the University of Wisconsin-Madison will be presenting a webinar together with Ting-Yen Shih on the winning topic during March (date still to be confirmed). 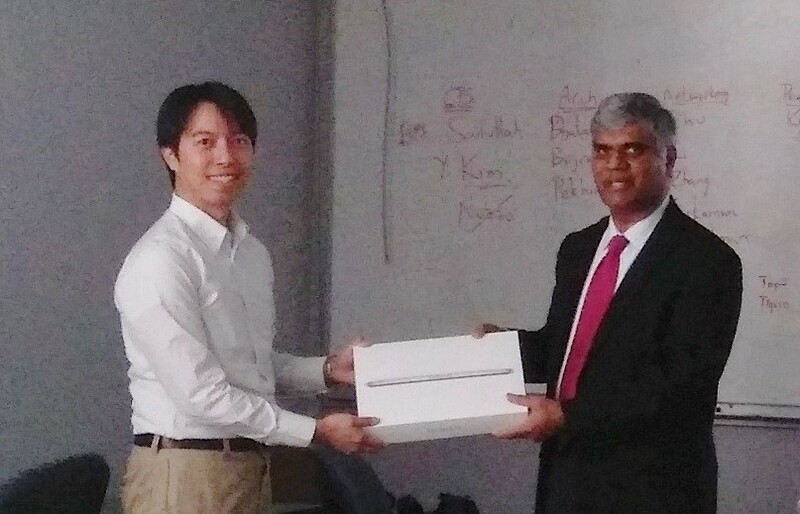 CJ Reddy, Vice-President EM Americas presents Ting-Yen Shih with his chosen prize (a laptop) at the university last week.